The Flex was one the first entry-level fitness trackers from the company but was updated with the Flex 2 version that comes with more advanced features like waterproof resistance and it has more option when it comes to customization, from bands to jewelry options. Even though the Flex doesn’t have all the new features that come along with the Flex 2 model you’re still getting a more than capable tracker to keep an eye on your activity and sleep levels. With a good app, simple synchronization and chameleon-like hardware, the Fitbit Flex is the best of the basic trackers. With all the features you will need from a fitness tracker while also being more attractive and more affordable than its competitors. In terms of hardware, the Flex performs pretty well overall. There’s no Display instead you have 5 LEDs Each LED represents 20% of your daily goal, so you can get at least a rough estimate of how you’re doing by glancing at your wrist. The Flex will log every step you take throughout the day and will try to differentiate between a gentle stroll and a power walk, attributing ‘active minutes’ where applicable. While this is a nice touch, it still won’t really discern when you’re running as opposed to walking. By counting your steps the Flex will estimate the distance you’ve traveled during the day, along with the calories you’ve burned. Its pretty light and sleek, and you can wear it on your wrist as well detach the track from the strap and have it in your pocket. A cool thing about getting the detachable bands is that you can exchange the bands at any time to change to look of the tracker. you can get bands on different colors but the original colors from Fitbit are 5. The tracker is water resistant but not waterproof so you can get some splash and sweat on it but you can not use it inside the pool. To get the best and accurate data from the Flex you need to hook it up to a cellphone with Bluetooth 4.0. The compatibility list of phones and tablets is pretty short but includes favorites like the Samsung Galaxy S4, iPhone 4S, and 5. There are only Apple and Samsung devices on the official list from Fitbit. Bluetooth 4.0 lets the Fitbit Flex send data to these devices while hardly consuming any power compared to previous Bluetooth versions. It also uses Bluetooth to transfer data to a computer, should you not want to use a phone. The Flex comes with a small dongle that plugs into your computer/laptop, automatically syncing data whenever the fitness tracker comes into range. When it comes to Battery Life the company claims 7 days of battery life but even with not using the tracker all day we got 6 days of battery, if well the tracker has relatively low power consumption the Fitbit Flex can last 4-5 days off a charge, after which you’ll have to plug it into a computer for a juice-up. A little USB charging cradle is included. The Flex uses the Fitbit app that is beautifully designed and easy to use. Besides checking your fitness progress you can also log your food intake. There’s a food database built into the app, but it’s a bit hit and miss. However, you can link the Fitbit app with MyFitnessPal, allowing you to pull in your food diary automatically. You can pair the Fitbit app with a multitude of other fitness apps and platforms too, such as Strava, Runkeeper, MapMyRun, etc. The App dashboard will keep a record of your activity as long as you use it, so you can check your progress during time. You can track your movements even when you are sleeping– a separate mode that’s accessed with a series of taps on the tracker (it can sense this movement thanks to its accelerometer). The tracker has a tiny motor that makes it vibrate, acting as a discreet alarm clock. Although you can’t set the alarm’s time from the tracker itself, you need to use the App to have it done. The Fitbit web portal is probably the best out there, which makes sense given that you can wirelessly sync with your computer thanks to that dongle. The web portal is made up of dynamic tiles, which means that you can arrange the page to best suit you, with the most important data being the first thing you’ll see. Fitbit also encourages a bit of healthy competition. If you have friends and colleagues using a Fitbit, you’ll automatically see a leaderboard highlighting how your efforts compare to theirs. If you’ve been a bit lazy, seeing that you’re lagging behind your friends may be all the incentive you need to get more active. Being part of the ecosystem that Fitbit brings along is an amazing start point to use technology to keep on top of your personal health and overall fitness. While the Flex is not a newcomer it was improving during time and the fact that it’s now more affordable is also a welcome one. But in 2018 there’s a lot of competition in the fitness tracker arena, with a lot of new and improved features from different companies, and Fitbit as well like the Blaze, Fitbit Charge HR or even the Fitbit Flex 2. The wristband itself could have some improvements as well. It’s lightweight and comfortable but seems more like a watch for kids than a truly stylish piece of tech. Fitbit has addressed this with third-party bands, but for most people, they are a little too highly priced. On the other hand, Fitbit has the strengths of its own platform. Wireless syncing is a great addition, and featuring a strong app ecosystem is an incredible benefit for any fitness trackers out there. With the Ionic, Charge HR and Surge all available now, the Flex is a great starting point for anyone looking to join the Fitbit market. But it’s far from the company’s best product. Should I buy the Fitbit Flex? 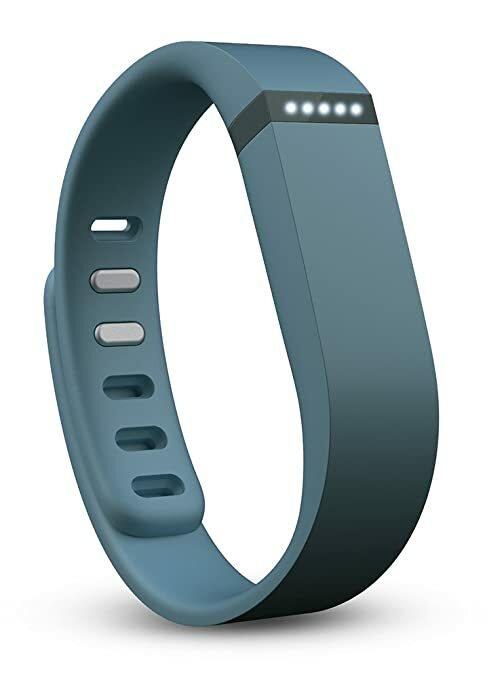 The Fitbit Flex was the first released wrist fitness tracker from Fitbit as an update from the old Ultra. It’s reasonably-priced, pretty easy to use and start a healthy lifestyle and is water resistant. ALotuhg, it lacks some important features when compared with other Fitbit models and is not as stylish looking as its wrist-bound competitors. When the Flex appears on the market was pretty much in-sync with fitness gadget trends than the other Fitbit models, but today the Flex is one of the most basic trackers from the lineup and it doesn’t have a full display or a stair-counting altimeter what makes it not the most accurate tracker out there.